Last updated 11 October 2018 . By Georgia Evans. It's become a cult favourite in London since its humble beginnings as a pop-up in 2016, now What The Pitta is opening its fourth location in Brighton. 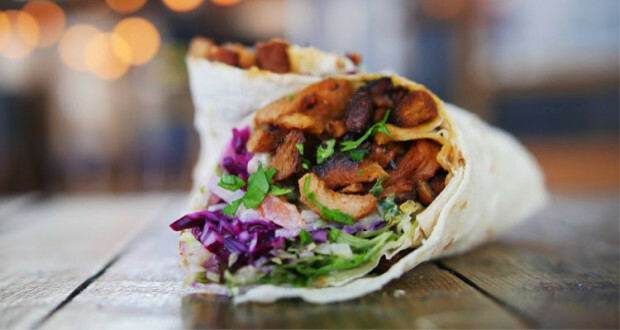 With three locations in Boxpark Croydon, Boxpark Shoreditch and Camden, the restaurant has become a staple in London for its vegan doner pittas and delicious lunch boxes, satisfying both vegans and meat-eaters. The popular kebabs are made with non-GMO soya pieces with fresh bread and homemade sauces. There's also Turkish pizza, doner chop boxers and vegan doner pitta for those wanting to try something a little different. The menu has not yet been confirmed for What The Pitta Brighton but it would be fair to assume these classics will be brought to the seaside, hopefully with the addition of their vegan brownies and other sweet treats.